The country is home to ancient cultures that span from the Norte Chico civilization, to the Inca Empire and to Pre-Columbian America. Couple this with its beautiful geography that varies from Pacific, then Andean and then Amazon and you have one country that a tourist cannot resist to go. Peru is a South American country that is more popular among the tourists for its Gastronomy sector. It is bordered to the north by Ecuador and Colombia, in the east by Brazil, in the southeast by Bolivia, in the south by Chile, and in the west by the Pacific Ocean. If you are planning to visit Peru, here is a highlight of what you need to know. 1. In a rush to get to Machu Picchu, most tourists arrive in Peru and head immediately to Cuzco. This is a big mistake. Lima is also worth seeing. It has an active night scene, good restaurants, excellent museums and the popular Miraflores district where you can drink your beer or wine as you watch the activities on the beach. 2. Beware the con artists - Like in all major cities that are regularly haunted by tourists, you are likely to get conned by taxi drivers, street vendors and the like. It is better to organize for ground transport with a recognized transport company. 3. 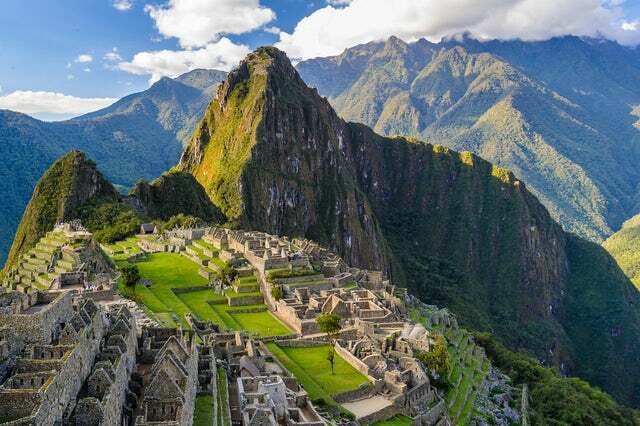 The Inca trails and the Machu Picchu are located high up in the mountains and you will need to have adjusted to high altitude before getting there. 4. Have you heard that the South American drivers belong to the loony bin? It is true. They drive like maniacs, but they know their stuff...you will probably arrive to your destination shaken but all your limbs will be intact. 5. Forget the martini...you are in South America. You better sample the Peruvian top drink - the pisco IV. 6. You must try the Ceviche - This is a local delicacy that is made of fresh, raw fish marinated in citrus juices and spiced with chili peppers and sometimes other tongue-tingling spices. 7. Most tourists make the mistake of thinking that Peru is only about Inca. Like afore said in this blog, the Norte Chico people were there 5000 years before the Incas and built a civilization that lasted longer than the Incas. 8. Make sure you have cash - Most Peruvians do not trust other forms of payments. Woe unto you if you thought that your credit card will get things done here...you are better off penniless than with plastic money. Shed your western idea of buying and selling. Most establishments will only take cash. 9. If you are going to explore the Inca sites, lay off the booze, drinks lots of water and sleep more. There are some steep stairs on your way to Machu Picchu that are known as the 'Gringo Killer' due to the number of westerners they have killed - mostly because of the 'don't care attitude' most westerners adopt when travelling in foreign lands. 10. There is a Peruvian proverb that goes like this, "When the road is long, even slippers feel tight." It is used to refer to the Inca Trail. If you thought it is somewhere you are just going to walk easily and click away the sites, you better have another thought coming. Peru is welcoming to visitors and is as 'Latin Americanized' as any country can be and so you better shed the stereotype and attitude in order to enjoy your trip here. For now, I rest my case and hope you enjoy your trip.